My friend Deb and I have this great love for all things sparkly, cute, original, ect. She’s definitely a little more sparkly than me. 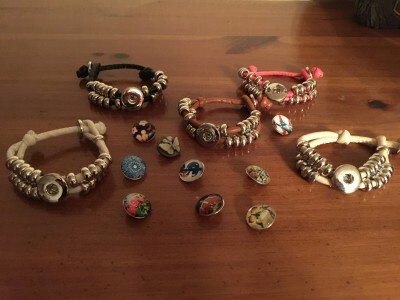 A few months ago, she started searching on line and found a variety of interesting jewelry. She would order a few things and always share with me. 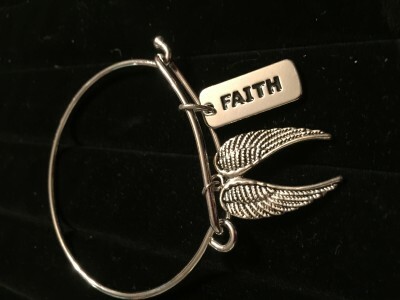 She kept ordering and ordering and she ended up with a ton of really cute, jewelry finds. I told her she should sell this stuff because she was developing quite the stock pile of jewelry. She started showing it to people and they really liked it. We had a Boutique over the holidays and she did pretty well. Recently I told her she should sell it online to reach more people. She works a regular job and lots of overtime right now, so she doesn’t have time. So, being the awesome friend I am, I said, let’s start a business and I will sell it online. Because everyone deserves a little bling…KD Trinkets was born! 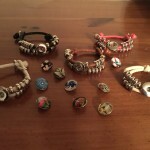 The most exciting product we sell right now is Snap jewelry. It’s the latest craze. Easy to snap on and off! 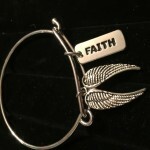 You take a bracelet, or necklace, which can be made with any material, leather, silvertone, goldtone, rope, ect. You add a snap charm. Now, the jewelry can be customized using different snaps. So many different looks, with just one bracelet! For example, these bracelets are leather with a noose closure. They come with a snap. But as you can see, other snaps are available and you can purchase many, that will change the look. I happen to love silvertone bangles, so I thought, why not create some of my own. Here’s one of my creations. Recently I found some snap charm backs that I could order and hook onto these bangles, thereby making them bangles with an interchangeable snap! Can’t wait for those to arrive so I can create. We also have some Cabachon necklaces. Very cool! The goldish ones look “antiquey”. Several different pictures to choose from and lots more coming. From leather snap jewelry, to leather slip knots, to bangles, you can find some interesting pieces on our Facebook page KD Trinkets. Take a look at our shop!